Full Spirited Flavours™ contacted me and offered to send over some samples of their Liqueur Infused Cakes for a review on the blog and I was super excited to try them out. I mean it’s not every day that cake samples show up on my door step, so we had quite the mid week treat!! A little about the company from their facebook page: A Liqueur-Infused Cake business started by 3 spirited sisters! Creation of very special “liqueur cakes” like no other. Hand made in small batches and infused with our special glaze, these cakes have brought a new meaning to “liqueur cakes”. Utilizing the strength we derive from each other, as sisters, friends and partners, our commitment to each other and our goals has been the strong bond and faith that guides us to the next level. <Click here> to read more about their amazing story! The retail variety pack they sent had sample sizes of each of their flavors: Amaretto, Limoncello, Mango Coconut Rum, and Chocolate Raspberry. 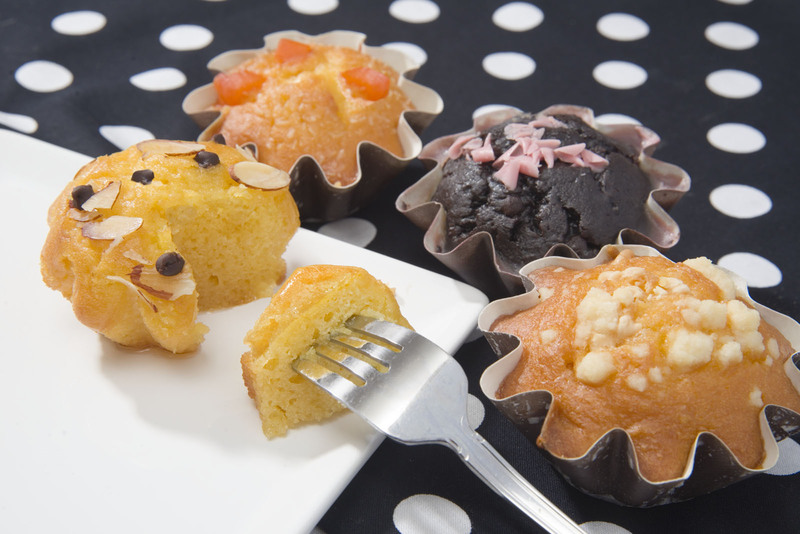 The flavor in the cakes is derived from the actual liqueur and is made in small batches infused with their special glaze. Chocolate Raspberry: This unique decadent chocolate cake is made with a raspberry glaze and topped with a splash of pink white chooclate creating a unique chocolate raspberry combination like no other. Amaretto: Their exceptional signature cake is made with Amaretto and rich chocolate pieces infused with an Amaretto glaze and topped with a hint of toasted almonds. A unique subtle flavor with exceptional moistness. Mango Coconut Run: This cake with its distinct flavor has a touch of sweet mango and is infused with their coconut rum liqueur glaze creating a unique blend of flavors that will take you to the islands. Are you hungry yet? I wanted to try each of them again, just from typing their descriptions! LOL! So how did they taste? They were ALL amazing. So moist and so much flavor! We LOVED them. Our favorites were the Limoncello and the Amaretto. Those 2 may have been the best cakes I have ever tasted! Seriously! I will definitely be ordering some of those flavors in the future! Want a chance to try out these delicious cakes yourself? Full Spirited Flavours™ has kindly offered to send one of YOU GUYS the same sample pack they sent me! How awesome is that? Pop over to my facebook page to enter! These little cakes sound and look sensational! LUCKY! !